Are you a Christmas last minute shopper, putting all your ducks in a row from the crystal to the trimmings, to the mood of your guests? 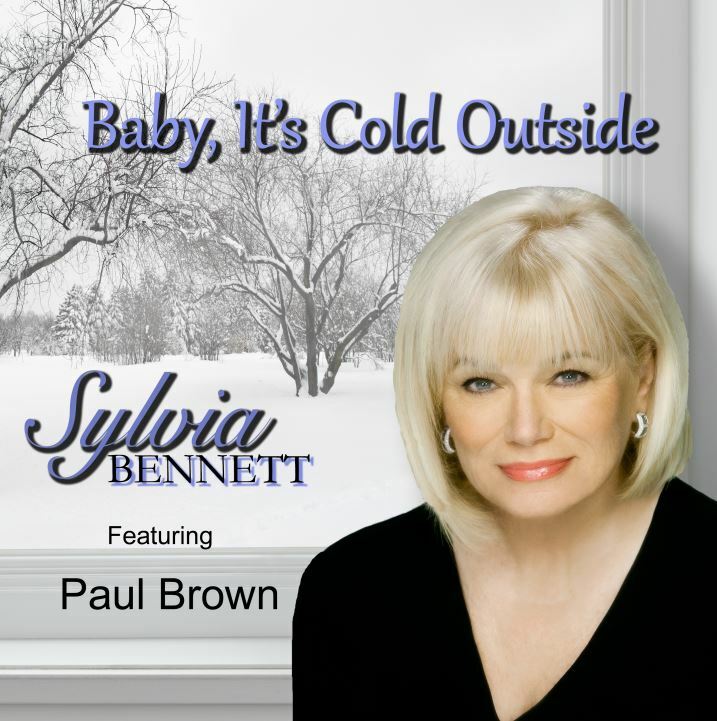 If this is the case, then adding the new Sylvia Bennett single “Baby It’s Cold Outside,” is a MUST. I have to admit, my car is tuned to the “Holly” channel, and I got to hear the tune as I drove around doing my early shopping. Knowing this was on my desk and one of the singles I needed to review for the holiday edition was a welcomed opportunity. Bennett is in her consistently full-throated beauty. Her delivery is convincing, and she is truly a joy to listen to. One of the most classic holiday tunes covered in a duet setting is on the menu, what makes this rendition especially warming, is the addition of Paul Brown. The chemistry between the two vocalists is evident and carefree, which adds to the banter of the tune and transports you into the holiday spirit immediately. Paul Brown is touted as a Renaissance man and his four-decade journey through the world of pop, R&B and jazz is certainly evidentiary of the term. He began his career as a drummer, he engineered for R&B legends (Diana Ross, Luther Vandross, Aretha Franklin) before evolving into a two-time Grammy winning urban jazz producer (with over 60 #1 radio airplay hits) and lastly a popular guitarist, artist, and performer with his own career. Bennett’s credits are well-documented with us in previous reviews, she is a true favorite around here. Her dulcet tones and sheer beauty in delivery keeps us coming back for more. So if you are looking to spice up or bring good holiday cheer to your holiday festivities, then this is the E-ticket. Find out why this has been such a hit already on playlists across the globe. It might be cold outside, but with a bit of Bennett & Brown, your home will warm with the holiday spirit in no time. Enjoy, and indulge – it’s a single worth the purchase. Salud!